Two days after her arrest for allegedly acting as “an agent of a foreign government,” Russian national Mariia Butina was indicted by a federal grand jury in Washington DC on similar charges. Butina was charged with one count of engaging in conspiracy against the U.S. and another of failing to register as an agent of Russia. Butina allegedly spent years forging connections with top conservative officials, including many associated with a “gun rights organization,” “for the purpose of advancing the interests of the Russian Federation,” according to the indictment. Though the indictment does not name the gun organization or the Russian government official who Butina worked under, corroborating details identify them as the National Rifle Association and former Russian Central Bank official Alexander Torshin, respectively. Per the indictment, Butina allegedly lied on the F-1 student visa application that allowed her to come to the U.S. for graduate school in 2016. She said she had terminated her employment for Torshin, but was instead acting under his “direction and control,” the indictment alleged. GOP operative Paul Erickson, identified in the indictment only as “U.S. Person 1,” allegedly helped the duo connect with influential conservatives involved with the NRA, National Prayer Breakfast, and 2016 Republican presidential campaigns, according to the indictment. Butina engaged in all of this activity between 2015 and 2017 without ever informing the U.S. Attorney General that “she would and did act in the United States as an agent of a foreign government,” according to the indictment. Meanwhile, she reported her activities back to Torshin via email, Twitter direct message and “other means,” per the filing. 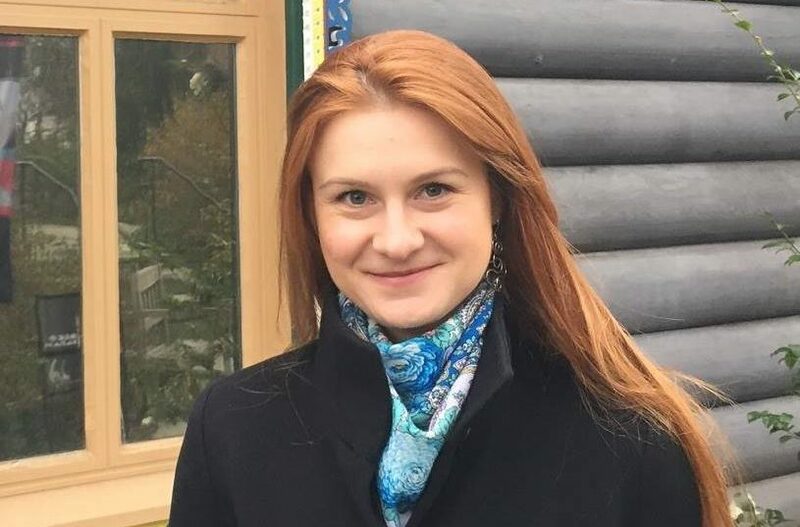 Butina is being held without bond in a D.C. jail, and is due in court Wednesday for a hearing before D.C. District Judge Deborah Robinson. Her lawyer, Robert Driscoll, has said she did not work as a covert Russian agent. Instead, he said in a Monday statement, she was a high-performing grad student at American University who openly sought to improve U.S.-Russia relations.